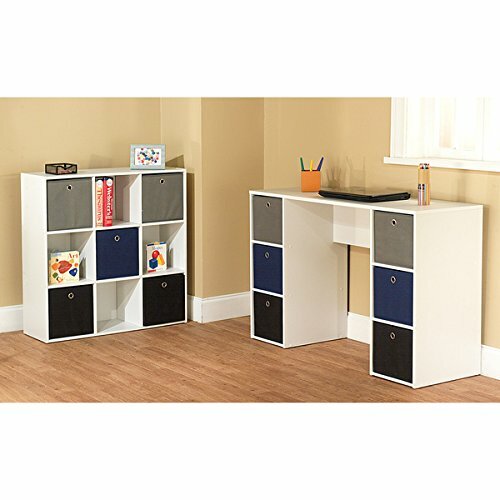 Writing Desk and Bookcase set is the perfect addition to a child's room with plenty of work space to do homework and colorful bins to store books, toys and instruments of art. The bookcase features five fabric bins, plus six bins included in the desk. Note: This item does not ship to Hawaii or Alaska.